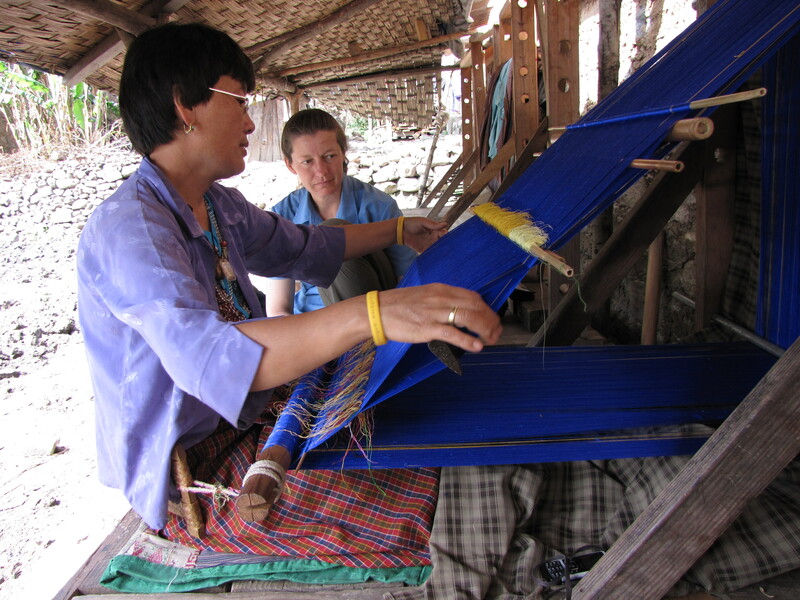 The rigid part of a Bhutanese backstrap loom consists of a platform to sit on connected to a vertical frame at the back with holes for holding warp-poles. Sometimes this vertical frame is attached to a wall or verandah posts, but usually it is free-standing. A backstrap is attached by ropes to a breast-beam made of two half-cylinders, between which the warp passes, and held together by wrapping the rope around it. 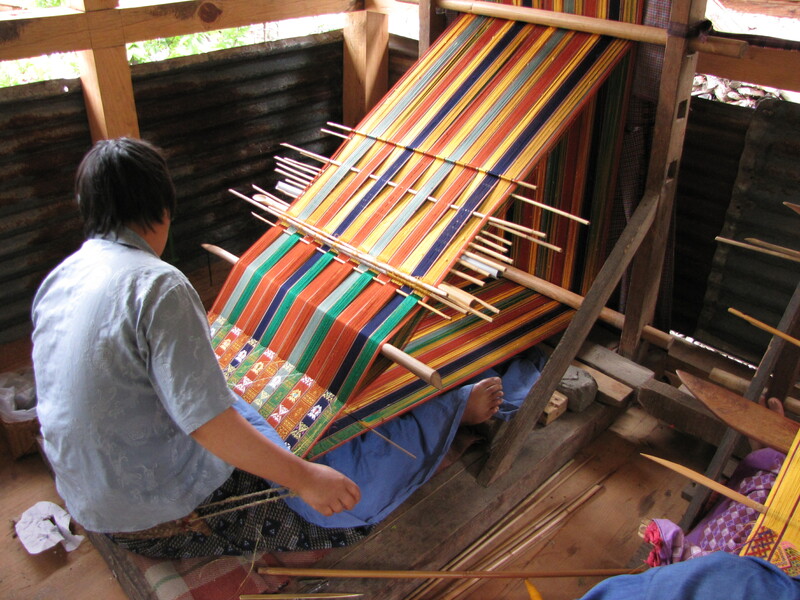 The weaver’s body and legs are used to create tension in the warp by bracing the legs against beams wedged against the frame. 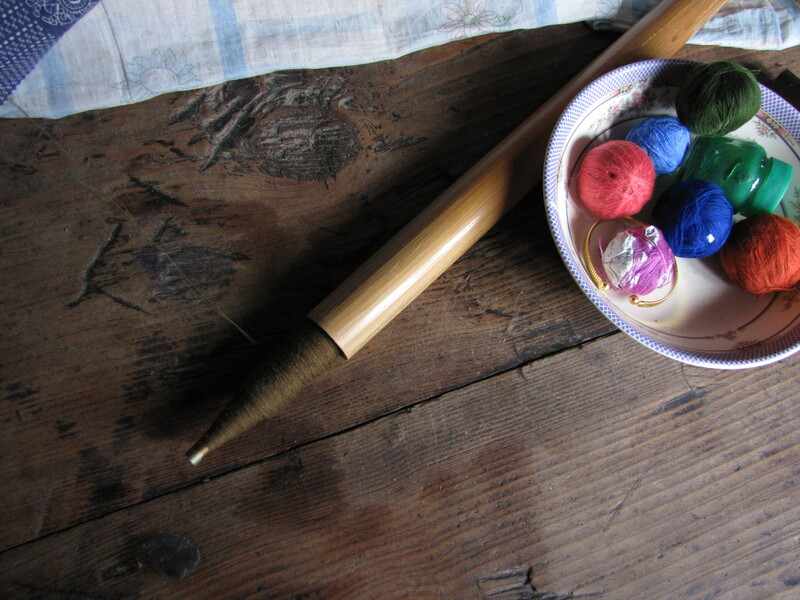 A variety of bamboo and wooden shed rods, heddle rods and swords are also used. The largest sword also functions as a beater. The shuttle is a simple length of bamboo, sometimes encased in a bamboo or plastic sheath. Weavers sit on a cushion or piece of sack or fabric so that they can slide forward to loosen the warp when changing the shed. This entry was posted in Bhutanese Techniques and tagged Asian, backstrap, Bhutan, loom, Textile, weaving by Wendy Garrity. Bookmark the permalink.